New and innovative skincare products are emerging from the green beauty world left, right and centre at the moment, and there's plenty to be getting excited about. 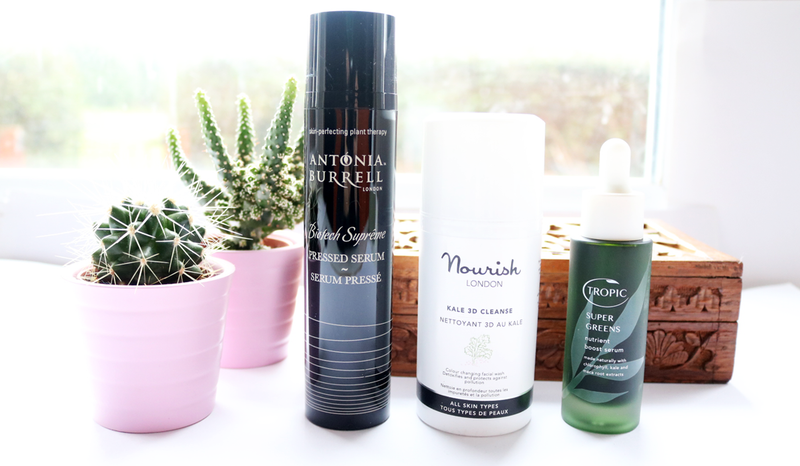 Here are just a mere handful of the latest releases from three key British brands, Antonia Burrell, Nourish, and Tropic, who are flying the flag for effective, natural skincare. I've been testing them all out for about 4-5 weeks now, so here are my thoughts! 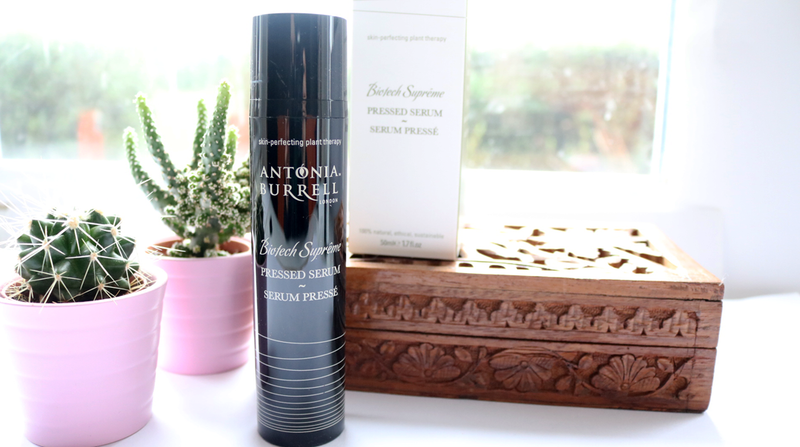 Antonia Burrell is something of a green queen superstar in the skincare industry, and I love her holistic approach to skin health, as well as her sheer passion for what she does. Her new Pressed Serum has been five years in the making and is described as a 'skin perfecting elixir' which can be used by everyone regardless of your skin tone, skin type or skin condition. It's a true multi-tasker as it can be used as a standalone moisturiser, primer and a serum. The formula boasts four plant-powered biotechnologies (Plant Stem Cell, Natural Peptides, Fermentation, and Olesome) which work in synergy to deliver the best possible results for your skin, and also includes a range of plant actives such as White Bird of Paradise Flower (brightening/evens out skin tone), Amaranth Oil (rich in Omegas 7 & 9 to calm, soothe and nourish), and Poria Cocos Root Extract (popular fungus used in Chinese medicine to reduce redness and irritation). I first tried this out in place of my regular moisturiser and whilst I liked the instant plumping effects, it wasn't quite hydrating enough for me during this freezing cold weather. I swapped it around in my skincare routine to use as a serum instead, and I've been loving it! It pairs well with any day and night moisturiser that I've tried with it and really helps to brighten up my skin, as well as reducing redness. I also feel like my skin has become less sensitive since using this as it doesn't seem to get as irritated as easily anymore. It does take a little longer than most of my serums to absorb, but for the sake of an extra minute or so, it's truly worth the wait. If you've got the cash to invest in a new clean, green, effective serum, be sure to check this one out. I've been a long time fan of Nourish and two of my favourite products from them come from their popular Kale range. I'm currently on my second or third tube of their Kale Biomimetic Anti-Aging Eye Cream, and I used up another Kale Enzymatic Exfoliating Cleanser last month which you can see in my December Empties post here. It's safe to say then that I was pretty excited when I heard the news that they were going to release a new Kale related product, and I couldn't wait to try it! 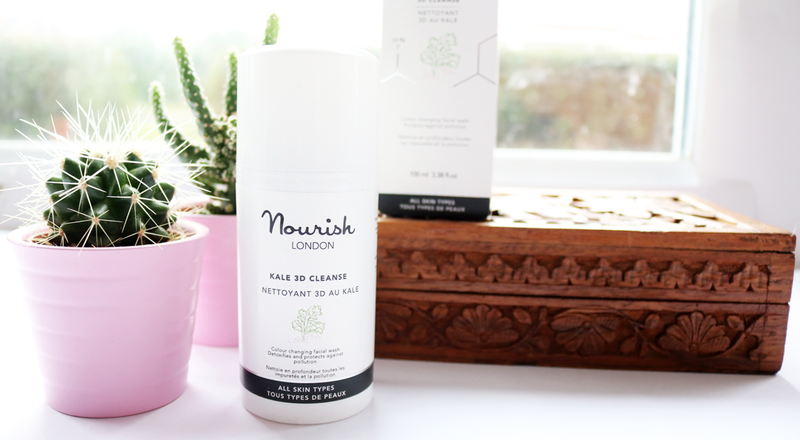 Nourish's Kale 3D Cleanse contains a blend of key ingredients such as Hyaluronic Acid, Probiotics, Oxygenating Extracts, Kale and Griffonia, to remove makeup, impurities and daily grime, and it helps to protect the skin against pollution which helps to minimise the signs of ageing. It comes out as a clear cream, but when you start to massage it into your skin, it transforms into a light green colour which is strangely satisfying to watch. I really enjoy using this as a morning cleanser because I feel it 'wakes up' my skin as it's very refreshing, and makes my skin thoroughly clean without leaving it tight, dry or stripped. We all know that green smoothies are great for our health, but how about utilising the benefits of greens into a serum?! 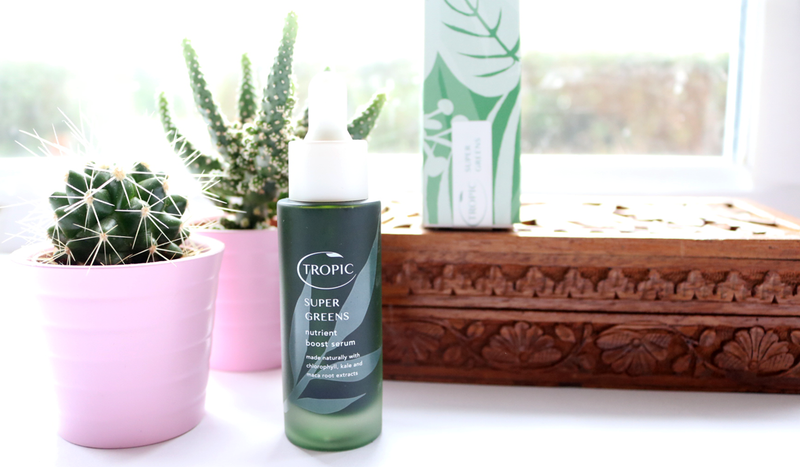 Tropic have done just that with their new Super Greens Nutrient Boost Serum and as you just read above, I'm a big fan of kale in my skincare, so I was eager to try something like this to see if it lives up to the hype. Hailed as a 'green juice for your skin', this Super Greens Serum is packed full of vitamin-rich and skin nourishing ingredients such as Chlorophyll, Kale, Maca Root extracts, Green Coffee, Marula, Tamanu and Kendi Oils. It has a nice lightweight texture that sinks into the skin quickly, and don't be alarmed by the green coloured composition - this soon disappears once it's absorbed. I didn't see any immediate results when I started to use this, but it seems to be one that gets better the more you use it as after the second and third weeks, I began to notice some differences. My skin has started to look more glowy and healthy in the mornings (I've been using this in the evenings), and the overall texture of my skin was much smoother. So far so good then! I haven't tried any of the products mentioned here but Tropic Super Greens Nutrient Boost Serum sounds really interesting and would love to give it a go in the future.